Air import export agent resumes deserve the same level of meticulousness and detail that you would typically reserve for pouring over shipment quotations or customer invoicing. For one, you should make sure you’ve included evidence that you’re well versed in relevant regulations, like FAA, TSA, and FMC regulations. Similarly, you’ll want to use your document to prove that you have relevant experience managing operational execution or dealing with customer service. And finally, you’ll want to spell out the technologies that you’ve worked with in the past, like CASS systems, AES systems, etc. 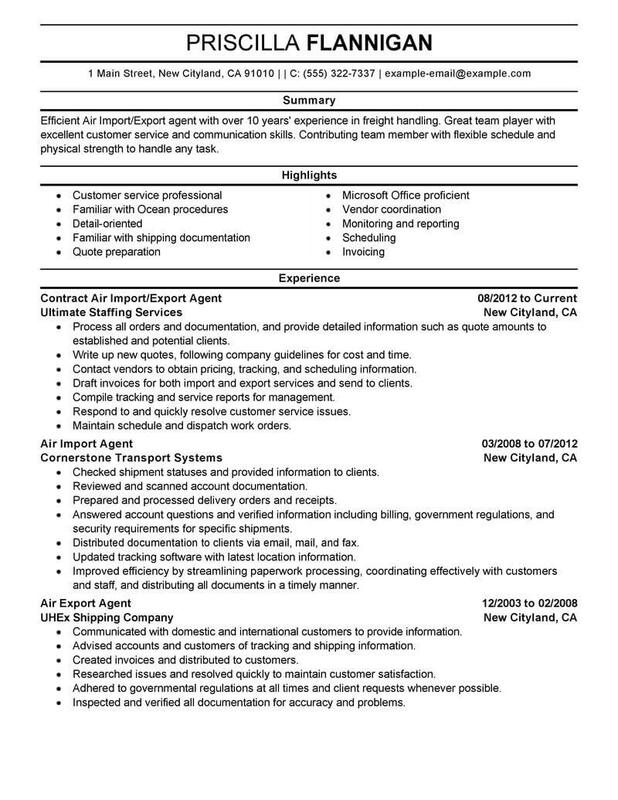 For more tips and tricks, have a look at our air import export agent resume example. 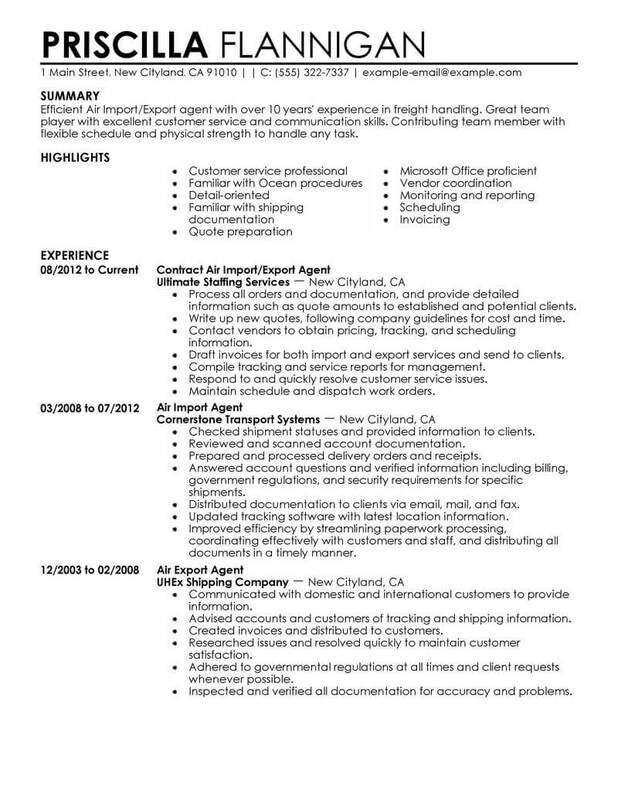 The air import export agent resume examples below will help you create your own air import export resume more easily. These specialized professionals act as middlemen between companies that want to export products to foreign countries and companies that want to import these products. 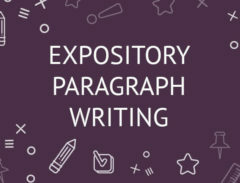 Click on any of these resume examples to begin building your own high-quality professional resume now. When the time comes for you to look for a new job, having a solid plan will make the task easier for you. Use the following tips and tricks to help you along the way. 1. Remain positive. Finding a new job can be stressful, and it’s ok to take time for yourself as needed, but try to do something related to your job search every day, even if it is just sending out one resume. 2. Create accounts for LinkedIn, Facebook and Twitter. LinkedIn is specifically for career-minded individuals, Twitter often has great results when you search hashtags and Facebook has plenty of groups to make it easy for you to find one related to your industry. 3. Contact your local library or government office for extra help. In many cases, they can direct you to places that are hiring in your field. 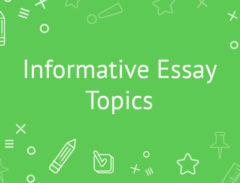 They usually also provide classes on interview etiquette and how to write better resumes. 4. Spruce up your resume. Remove anything that no longer related to your field and ensure the rest of the information is current. 5. Be professional and polite. Shake hands before and after an interview and don’t forget to call a day or two later to thank your interviewer and check up on the status of the job. 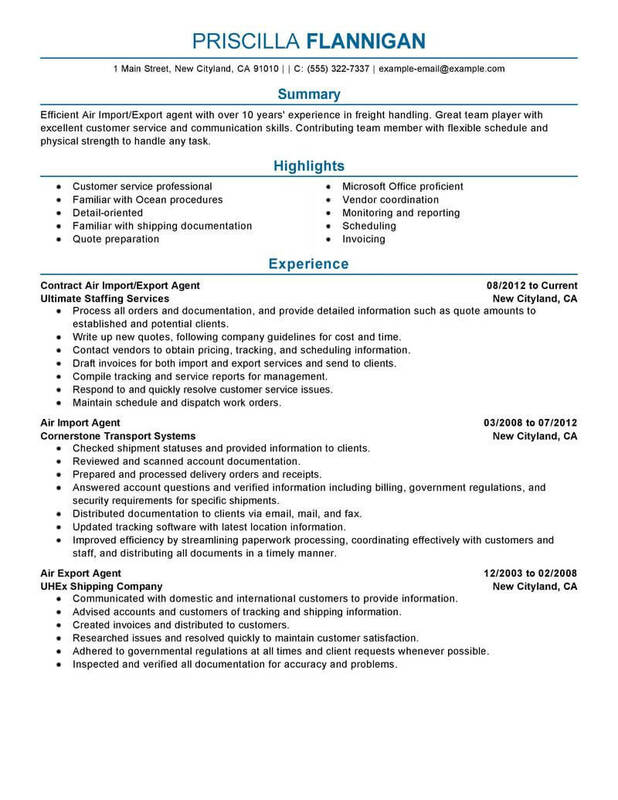 One of the most important parts of finding jobs as a air import export agent is to have a professional resume. The following guidelines and ideas will help you write a resume that stands out from a sea of applicants. 1. Do use a professional template. Unless you work in the design industry, most hiring managers will view color or too much design as unprofessional. 2. Don’t write a resume that is too short or too long. Unless you are applying for a position that requires a longer CV, keep your information between one and two pages. 3. Do include your transferrable experience and skills. For example, if you learned how to use certain programs during an internship, include the internship and skills on your resume. 4. Don’t keep irrelevant information on your resume, however. Perhaps you worked at a fast food restaurant one summer. Only include this information if you have no other experience or no other way to show your leadership or customer service skills. 5. Do be concise with your contact information. Only use one phone number and one email address.